GolfBloggers’s Golf Gear Gift Guide 2015 comes with warning labels because I don’t actually think clubs and balls make a very good gifts. With golf balls, you can’t just buy a box of Pro V1s. Pro V1s aren’t for everybody. I don’t play Pro V1s; I play the Wilson Duo Spin. My regular partner doesn’t play Pro V1s; he likes a Slazenger. Pro V1s are excellent for people whose games fit the Pro V1, which — in spite of what the ads say — isn’t everyone … not by a long shot. So if you’re going to buy golf balls for the golfer in your life, ask what brand and model they play. As for clubs, everything I wrote about golf balls is true, but even more so. Clubs really need to be fit to the player. At the very least, a player should try out a club before buying. And not just a club of the same model and make. The actual club. They’re not all the same. Not even the ones that look identical. So if a new set of clubs for your golfer is on the agenda, my best advice is to get a gift certificate that includes a club fitting. All that said, here were some of my favorite bits of golf gear from this past year. Teacher’s Comments: Versatile and easy to play. A great value. Tour Edge is a company that should get far more notice from weekend golfers than it does. Since its founding in 1985, Tour Edge has made high-quality, competitively priced, original-design, award-winning clubs. They’re the only OEM to offer both a lifetime guarantee and a 30 day play guarantee. Read the complete Tour Edge Exotics CB Pro Sand Wedge. 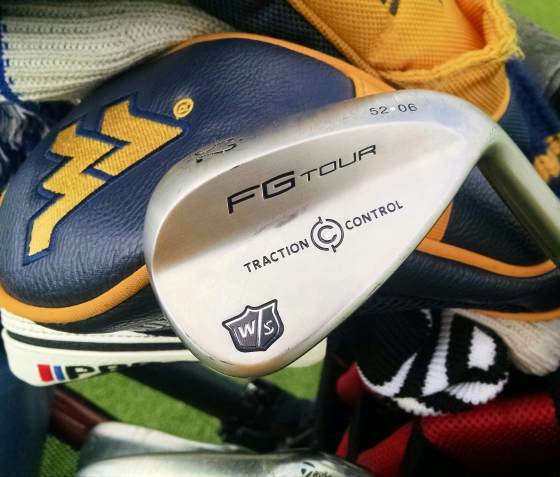 The FG Tour Wedges from Wilson incorporate two sets of differently sized grooves. The large Tour Y Grooves look quite traditional, although their size and shape conform to the new rules. I doubt anyone’s naked eye could tell the difference. Less traditional are the eleven laser-engraved micro grooves situated between each of the Y Grooves. 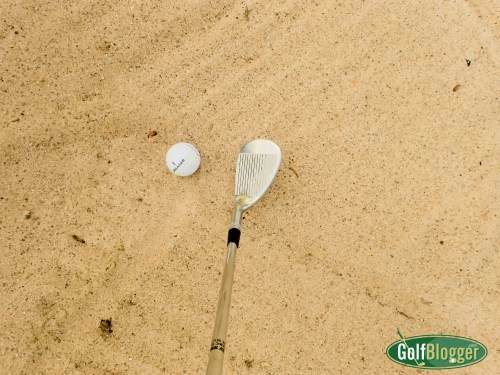 The effect is to offer more surfaces to grab the cover of the ball, and thus generate more spin. Read the complete Wilson FG Tour Wedge Review. Teacher’s Comments: The best feeling, most accurate irons I have ever played. Callaway’s Apex Irons are an aspirational set of irons. They demand that you improve your swing to get the most out of them, but won’t completely beat you up until you arrive at that point. 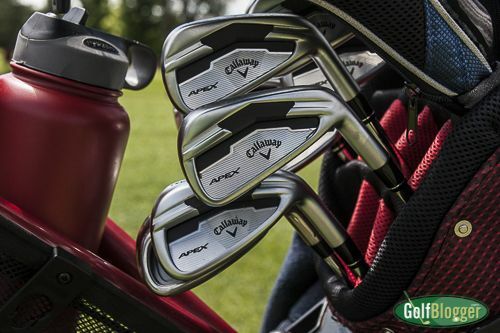 Read the complete Callaway Apex Irons review. Teachers Comments: Vision Golf Balls perform exactly as advertised. You can see these from a mile away. 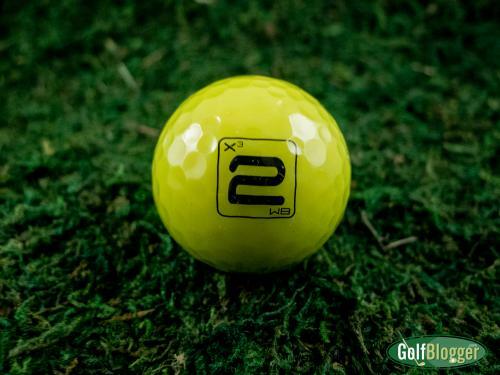 Vision Golf’s UV X3 golf balls feature a unique high visibility cover that actually absorb UV light to make it brighter and more visible. I’m sure they want to avoid the “novelty ball” image, but the truth is that these actually will glow in the dark. Read the complete Vision Golf Ball Review.